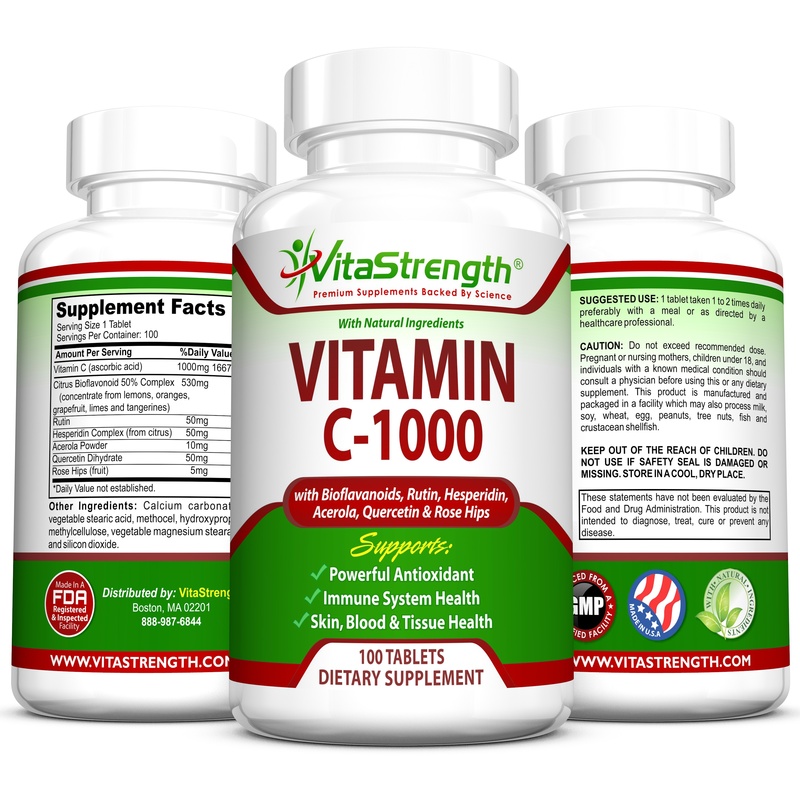 Order Vitamin C-1000 Complete Complex Today! 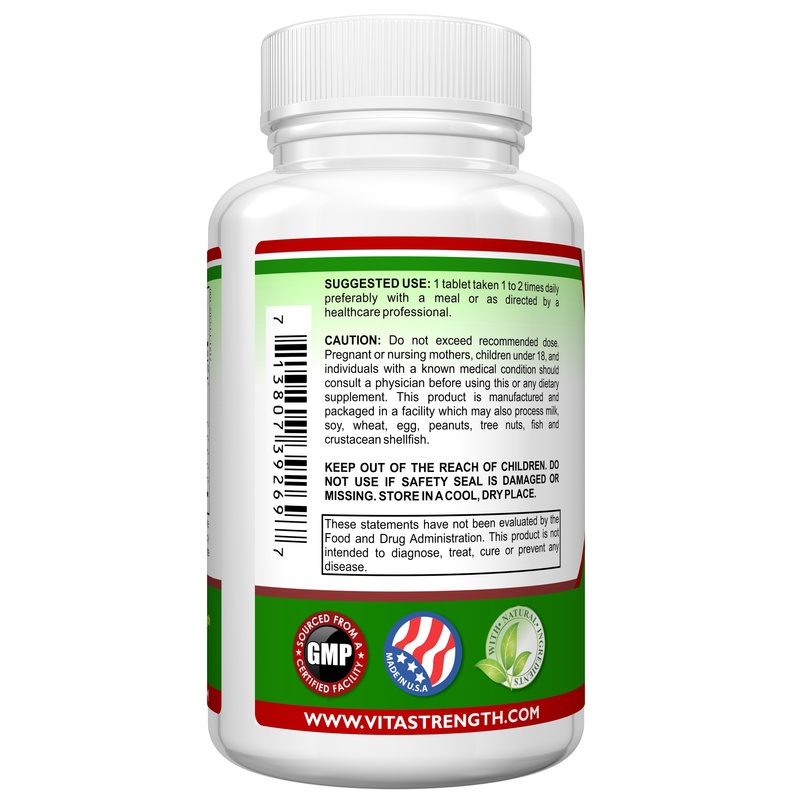 NATURAL SUPPLEMENT These Vitamin C pills are made from natural ingredients which include With Bioflavonoids, Rutin, Aceroia, Hesperidin, Quercetin and Rose Tips. Your body’s overall health starts at the immune system. Without a healthy immune system, you tend to be more susceptible to infections, diseases and other illnesses that make you perform at less than your best. 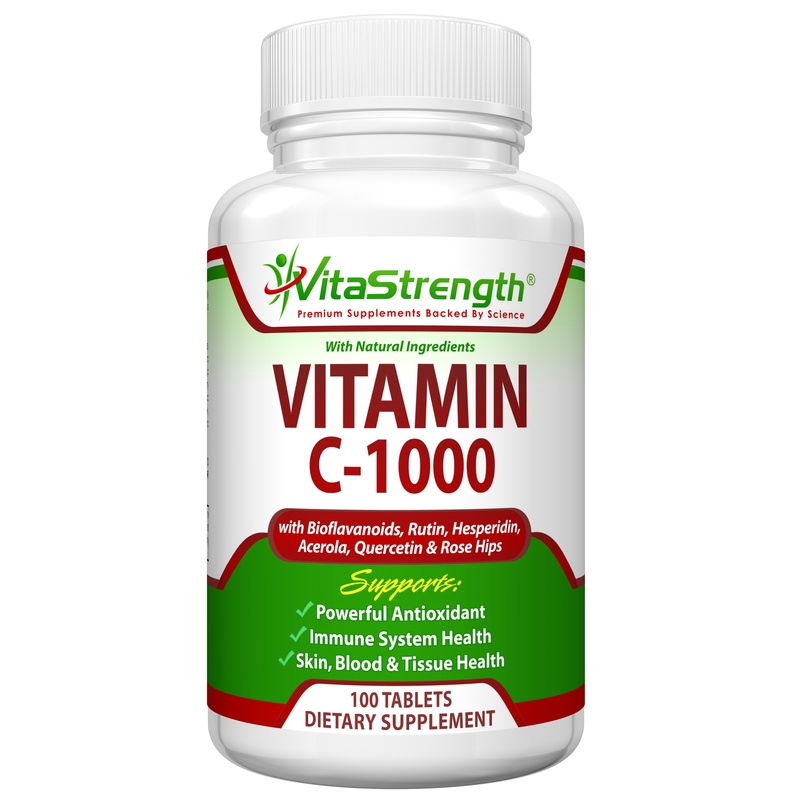 Vitamin C is one of the most potent antioxidants that can be found and is one of the most reached-for vitamins by people who feel a cold coming on. 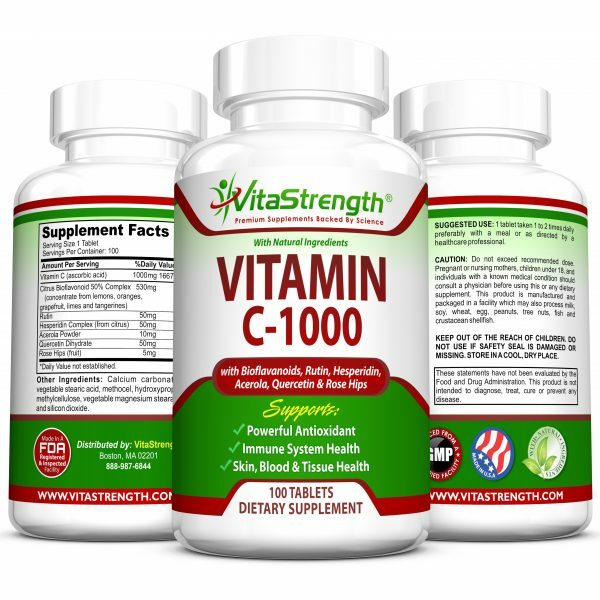 Our VitaStrength Vitamin C-1000 supplements are packed full of these powerful antioxidants to help you stay on top of your immune system health. Our VitaStrength Vitamin C 1000 tablets contain 1000 milligrams of Vitamin C per serving. 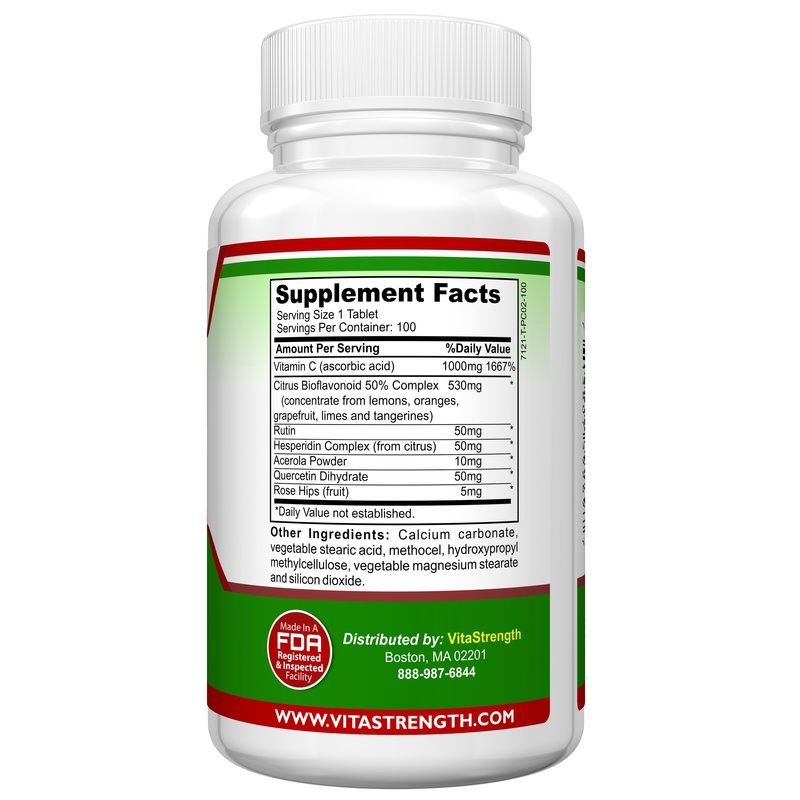 Vitamin C benefits the body from the inside out, helping to combat free radicals found in the environment that are impossible to completely avoid. By reducing these free radicals in the body, your skin may get a reduction in the signs of premature aging, such as wrinkles and fine lines, helping to promote more youthful, healthier-looking skin. 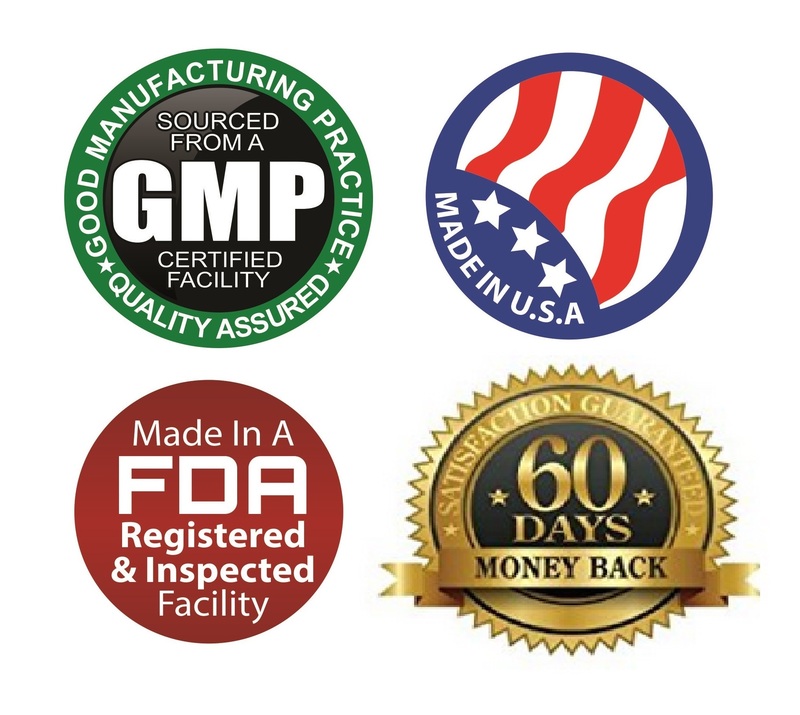 Our complex also includes: Bioflavonoids, Rutin, Aceroia, Hesperidin, Quercetin and Rose Tips! 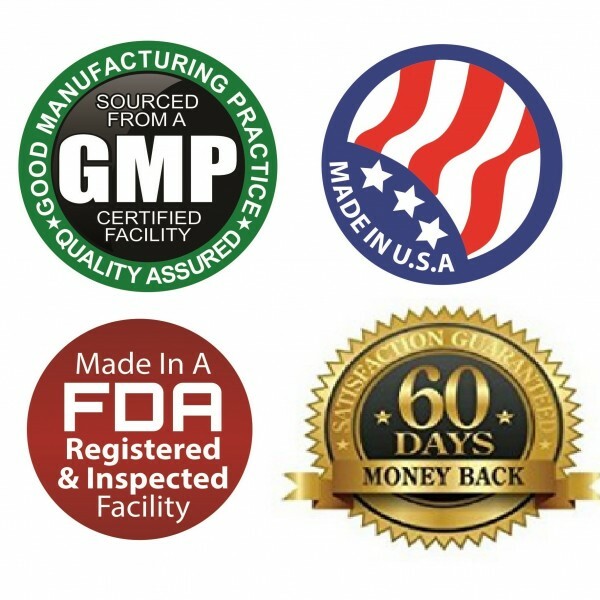 Along with these anti-aging properties also comes the fight against free radicals and the harm they can pose to our immune system as well. Vitamin C reactive protein allows for the immune system to ward off infections and illnesses that a build up of these free radicals can pose and may help you gain relief from symptoms of a common cold. By doing so, this vitamin C supplement also may improve the health of your blood and tissues by detoxifying them all at once. 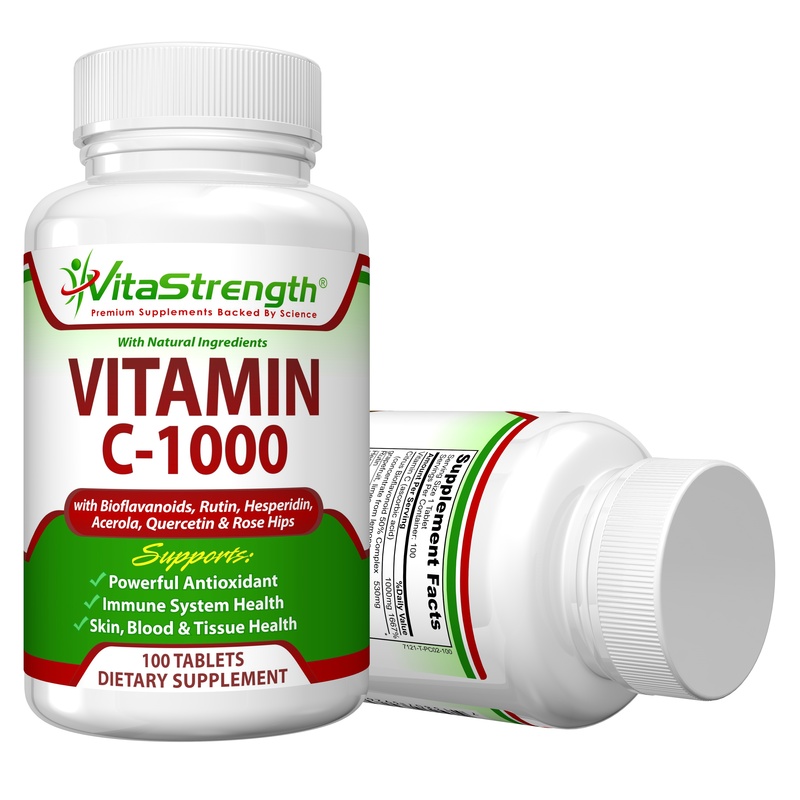 Experience the power of Vitamin C by ordering your bottle of VitaStrength Vitamin C-1000 Complete Complex now.